Welcome to the Ōtaki Kite Festival website. 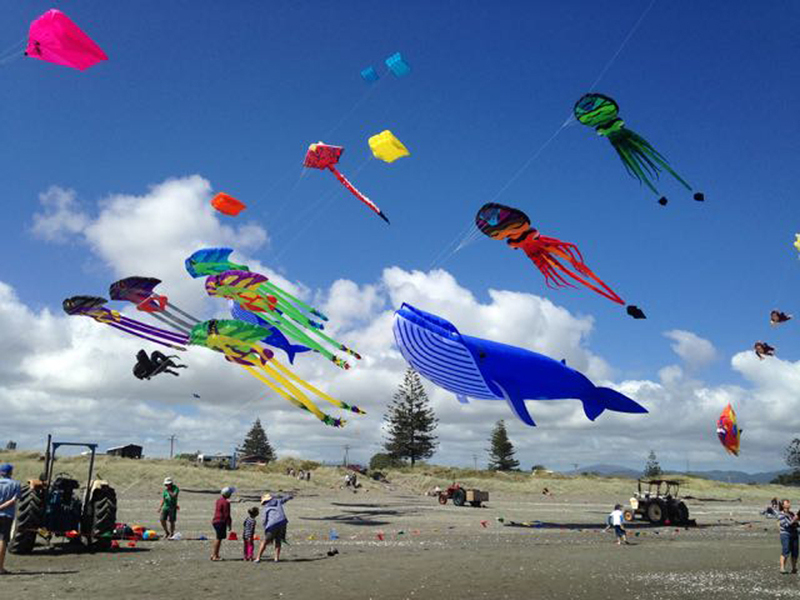 We want to let you know all about this fantastic annual event that is one of the biggest events on the Kāpiti Coast, and the biggest kite festival in Aotearoa/New Zealand. We're expecting up to 20,000 people on and around the beach for the 2019 festival, so please join us for one of best FREE shows you'll ever see. What can be better than fabulous kites floating above the beach with Kāpiti Island as a backdrop? Make sure you take plenty of photos – it's spectacular! There’s something for everyone: kite making workshops, kite fighting, merchandise, market stalls, entertainment and the Harcourts Big Dig for the kids. Take a look at the Other Info page. Original generation time 1.5982 seconds. Cache Loaded in: 0.0437 seconds.